When sending email correspondence, please do not send confidential or private information such as a Social Security number, D.O.B. or medical diagnosis. All email information is subject to the North Carolina Public Records Law and may be disclosed to third parties by an authorized State official. Phillip Tarte, MPH joined the New Hanover County Health Department as its director on July, 19, 2016. 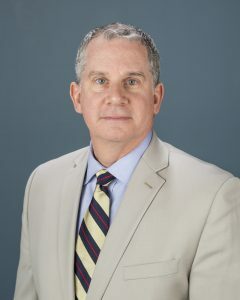 Prior to New Hanover County, Mr. Tarte served a nine-year term as Public Health Director for Union County, NC and he has over 21 years of experience working with local and state health programs. While employed with Union County, Mr. Tarte was responsible for leading a staff of 120 health care professionals and managing a budget of nearly $11.6 million. His community involvement includes serving as an existing board member for both the NC Department of Agriculture’s Pesticide Advisory Board and NC Institute of Medicine. Mr. Tarte is excited for his new role with New Hanover County and to be able to continue his cutting-edge work in public health. Billing/payment issues. Main line for pricing.